Much like my top ten TV list, I don’t feel entirely satisfied with what I saw this year movie-wise. But, maybe that’s because there were more than a number films early on in the year that I figured would stick around in my memory as the year progressed, which looking at my list seems to be true. Still, I wish I had gotten around to seeing the likes of Support The Girls, Minding The Gap, and the ever-elusive Burning. That said, I still managed to put together a list I feel pretty good about, even if this year might not have had as many year-end “gotta see” movies as year’s past. It is extremely rare that an action movie makes one of my year-end lists, but this just feels like the culmination of Tom Cruise as an ever-youthful action star with zero fucks given towards the limits of his own body. 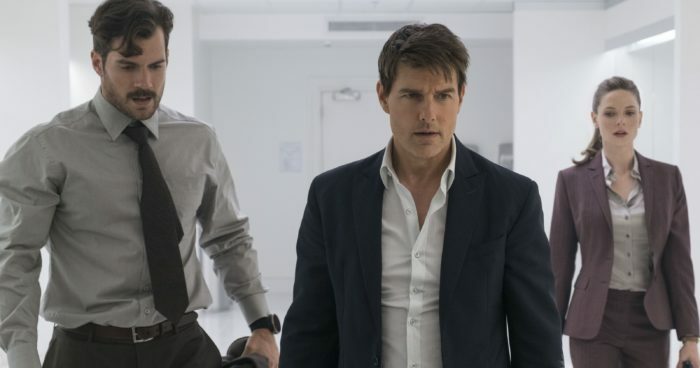 Every set piece crackles in just the right ways that you would want in a Mission Impossible movie, and the supporting cast also shines in just enough actual dramatic scenes to give the movie a real clean sense of pacing. But really, it’s just all about seeing Tom Cruise do his Tom Cruise thing, and it’s quite possible he’s never done it better than he does here. I’m not so sure if 2018 was the “Year of the Woman” in Hollywood as much as it was the “Year of Women starring in Male-Directed” movies. Which, to be fair, is a step in the right direction, if not a full leap in the right the direction. 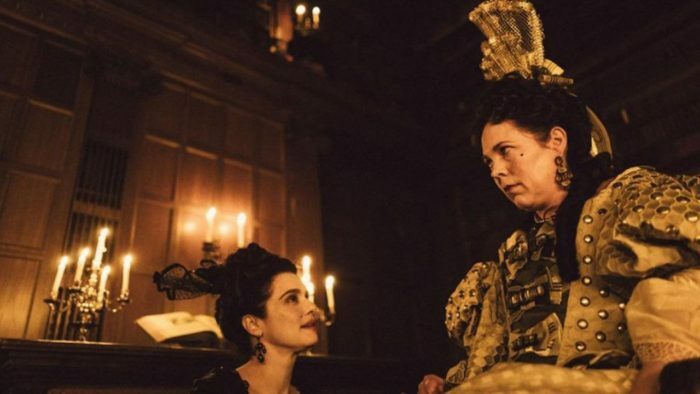 Either way, Yorgos Lanthimos nails a certain kind of power struggle that can exist between women who seek to gain power without the help of men. And unsurprisingly, he does it with a kind of black humor and austere absurdity that feels exactly like the kind of costume drama someone who could care less about costume dramas can enjoy. Movies about frustrated writers are not terribly hard to come by (because most movies are written by frustrated writers), but this one stuck out to me considerably. First of all, there aren’t many true stories of literary frustration that end in FBI interference, nor are there ones that capture people living on the fringes of society quite like Can You Ever Forgive Me? does. 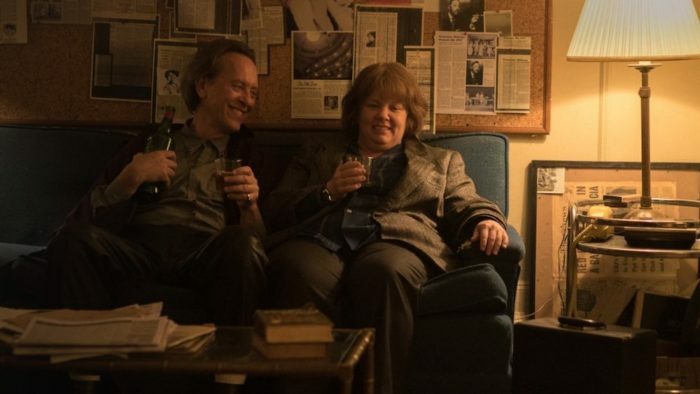 Specifically, the relationship between Melissa McCarthy’s and Richard E. Grant’s characters I found absolutely delightful, and I could’ve watched them bum around Manhattan bars and bookstores while trading insults for hours. Not really sure what to say about this movie, since it’s bound to get a lot of talk as we wrap up the year in movies. Also, there’s just a lot to unpack about it, which is also what’s kind of great about it. I have not really given Paul Schrader’s directorial career the time of day, and after seeing this late-career masterstroke, that’s clearly something that should be rectified. Then you’ve also got Ethan Hawke, an actor I’m either a big fan of or who just happens to show up in lots of films I love, in what might be his finest performance to date. I felt like I had to include Shoplifters on my list for no other reason than that it was one of the most emotionally draining experiences I had watching a film this year. Which is odd, considering the film starts off pretty unassumingly, but by the end of it, through sneaky plotting and a family that you can’t help but empathize with, it’ll get ya. It’s definitely the kind of film that makes you think about the simple questions of what constitutes “right” and “wrong”, and how society’s structures make those things a little less clearly defined when you actually get to know people that have no other choice than to commit things we generally consider crimes. Speaking of which… If Beale Street Could Talk and Shoplifters were two films I thought about in relation to each other, just because they both reconsider the way we look at criminals. Perhaps this is a byproduct of the fact that we seem to be on the verge of reassessing our criminal justice system in the U.S., and therefore reassessing how those on both sides of the law are affected by it. Here, we get a couple caught in the middle of an unjust system, and on top of that, you just have a wonderfully made film that maybe hasn’t been quite the break-out that Moonlight was, but certainly sees its director Barry Jenkins working on the same level of sublime artistry. The teen coming-of-age genre is another tried and true one, but Eighth Grade managed to feel like something entirely new to its genre. First of all, it captures the screen-obsessed nature of our current moment both accurately but affectionately. Then you have the fact that there’s a kind of craven intensity to the way Bo Burnham treats young adulthood in his directorial debut. The journey we see Elsie Fisher’s Kayla go on is often an uncomfortable one, but also one where we see the humanity and light at the end of adolescence’s dark tunnel. I was always a fairly mild Wes Anderson fan, so it’s weird that both this and Grand Budapest Hotel have propelled the director to the front of my favorite current directors. There’s just a lot to enjoy about the care and detail put into the stop-motion animation, as well as the potent story of a boy and his dogs. Then when you throw in the dystopian commentary mixed with an unyielding playfulness, you’ve got a movie that’s just really easy to enjoy on a purely visual level, while also indulging your inner child (and adult). I never got around to seeing Sorry To Bother You for a second time since this summer, but it has continued to stick with me nonetheless. And I think no matter where you fall on it, that’s bound to happen. This is just a very unique piece of satire with a lot on its mind, which isn’t surprising considering how long in development this debut feature from director Boots Riley had been. It’s messy for sure, but then again, so is the tangled web that is capitalism, and perhaps the only thing that can untangle it is looking at it with the kind of unbridled fury that this film does. The movies that resonate with you are often the ones that its hardest to pin down why they resonate with you. 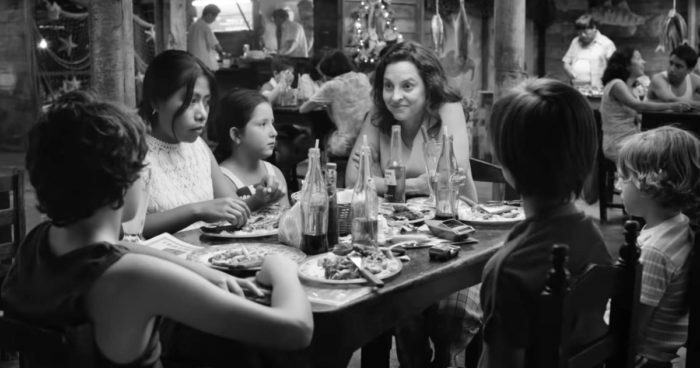 But the most I can say is that… Roma had me from the minute it started. You never know quite where this story is going, and it’s never quite in a hurry to show you where its going. But something about the way it brings you into the world of this fracturing family, and the housekeeper at the center of it, just all feels pitch perfect. It’s a small, simple story for sure. But due to the sound design and the cinematography and the light touch (that owes more than its share to Fellini), it always feels epic, and always feels like the work of a director in clear control of his technical and emotional prowess.